If you’re looking for a Mother’s Day gift idea that will last throughout the year check out this gorgeous DIY paper flower bouquet. It’s simple to make and looks as good as the real thing! How beautiful is this bouquet of flowers? And I bet you had to look twice before you realised they weren’t actually real blooms! 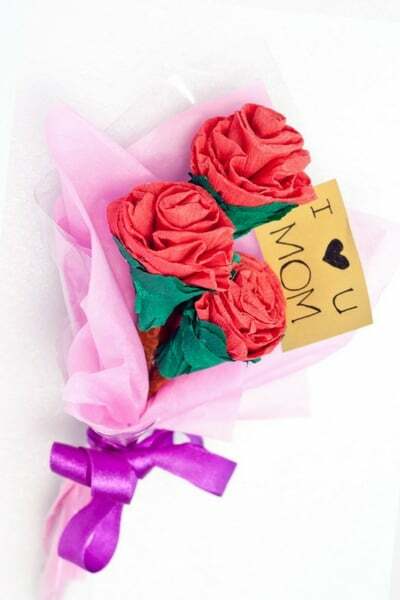 This is the perfect DIY for a Mother’s Day gift, or to put a smile on a friend’s face. And what I love most about this bouquet of flowers is they last a heck of a lot longer than the real thing!